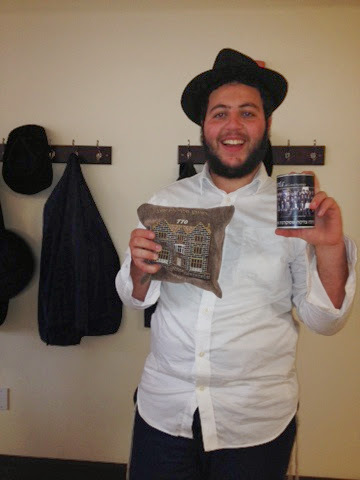 Armed with his Tefillin and brand new Mesivta Pushka, Hatomim Reuvy Litzman heads out on Friday Mivtzoim. Thanks to a very special friend for our new Hoop! Chumash Shiur in New Building!